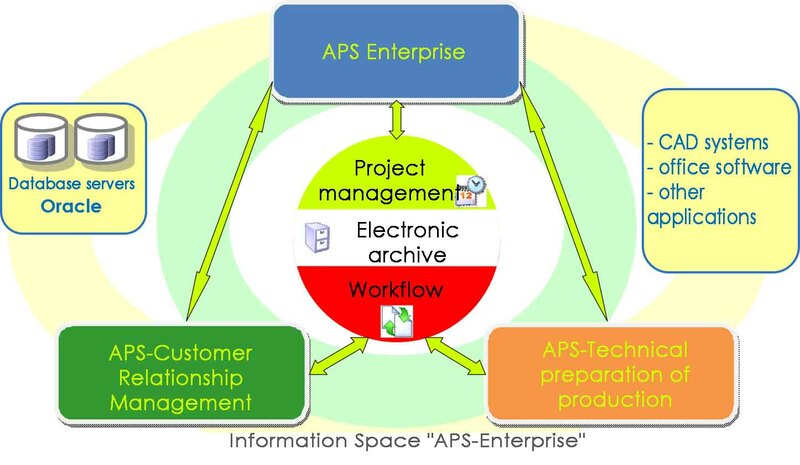 APS-Enterprise is a scalable system that includes many configurations. 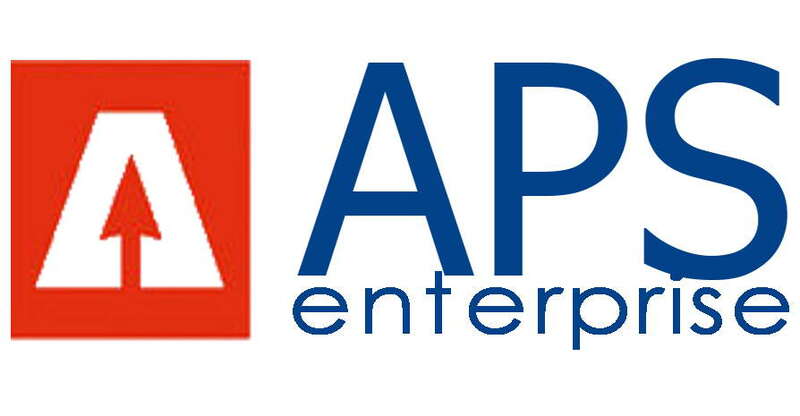 APS-Enterprise is a network software product, operates within a single information environment and uses client-server technology to access databases of the industry standard Oracle. 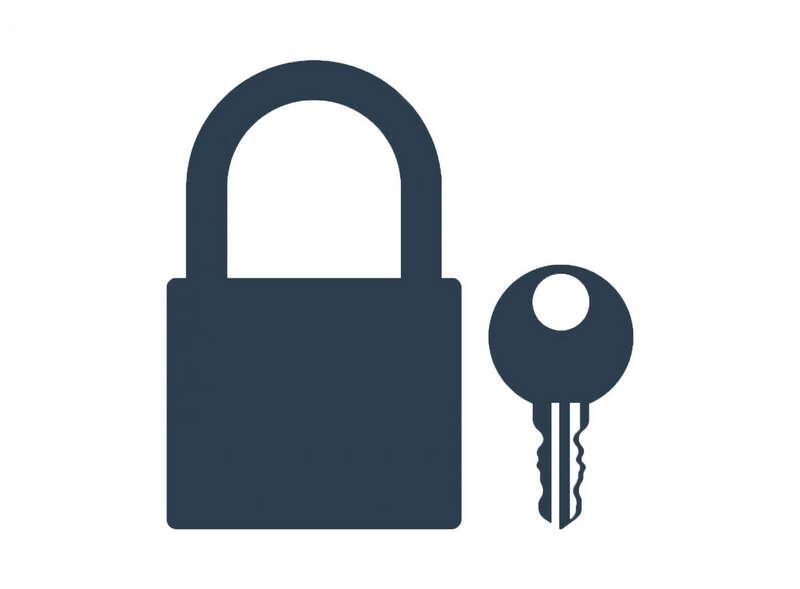 The configuration of workplaces and the distribution of user access rights are configured taking into account an integrated security system. 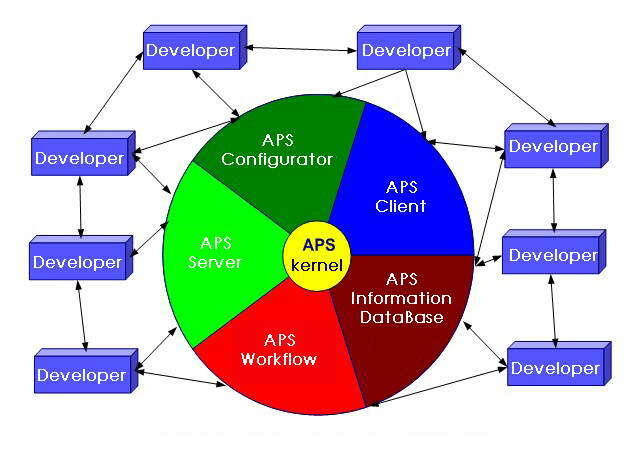 APS-Configurator gives full access to the supplied configuration and allows you to configure users’ workstations, create and edit objects and their properties in the system, develop new applications and connect their data to existing ones. 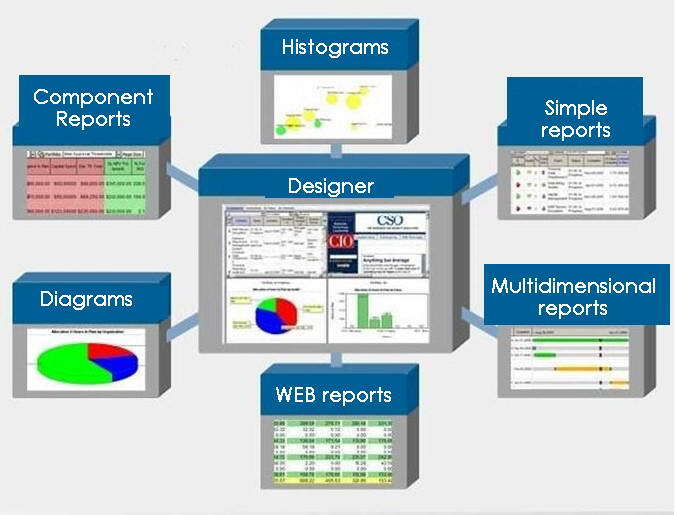 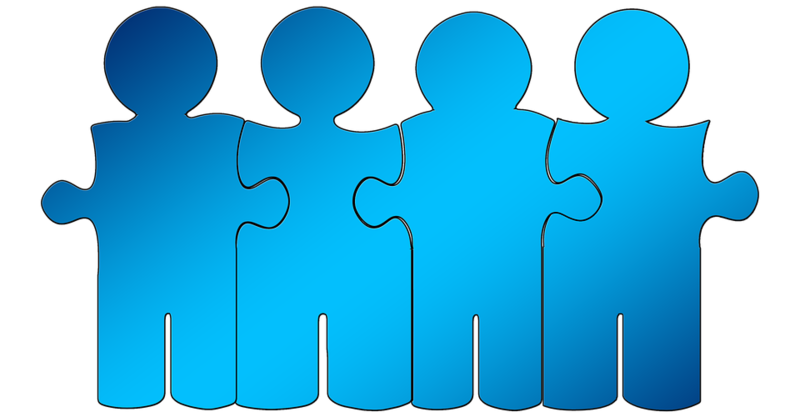 Fully open architecture allows integration with CAD systems, accounting and inventory systems and other structured systems. 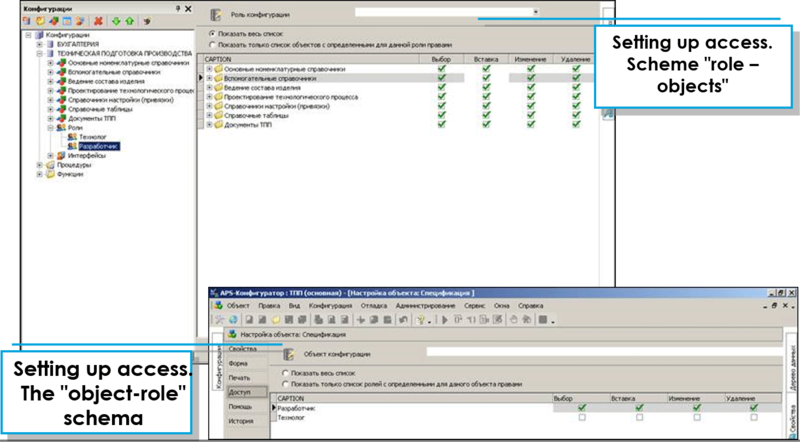 7 – the status bar. 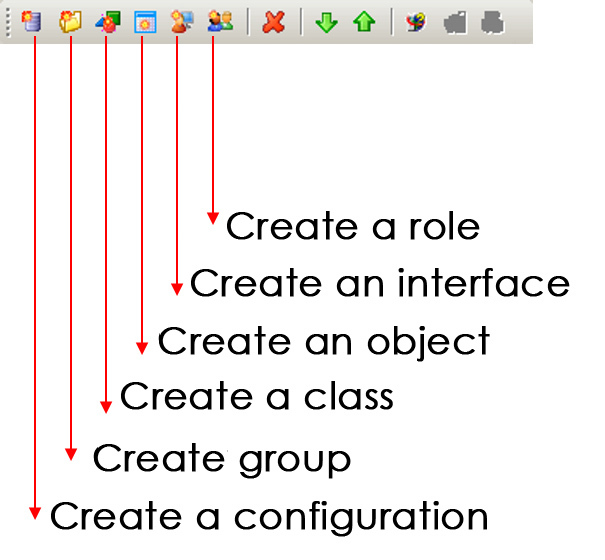 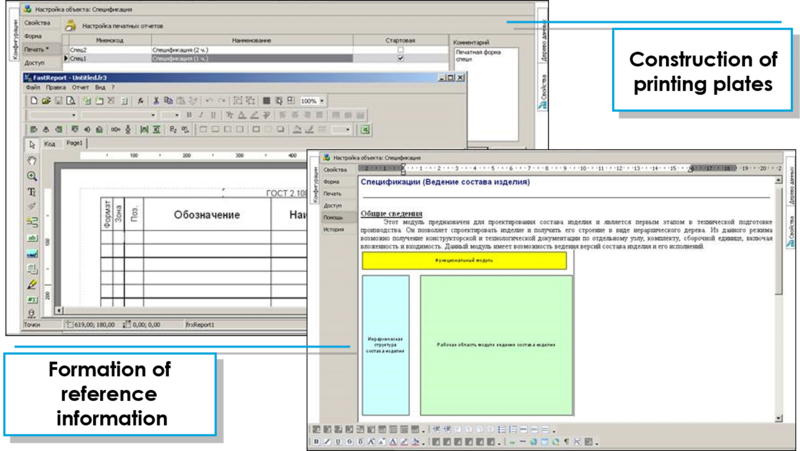 Create configurations and objects using icons located on the toolbar. 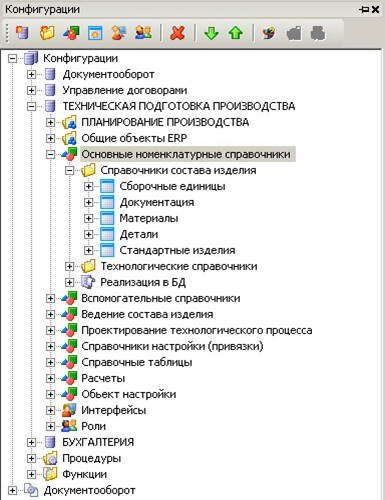 The mode of import / export of configurations is implemented on a single mechanism. 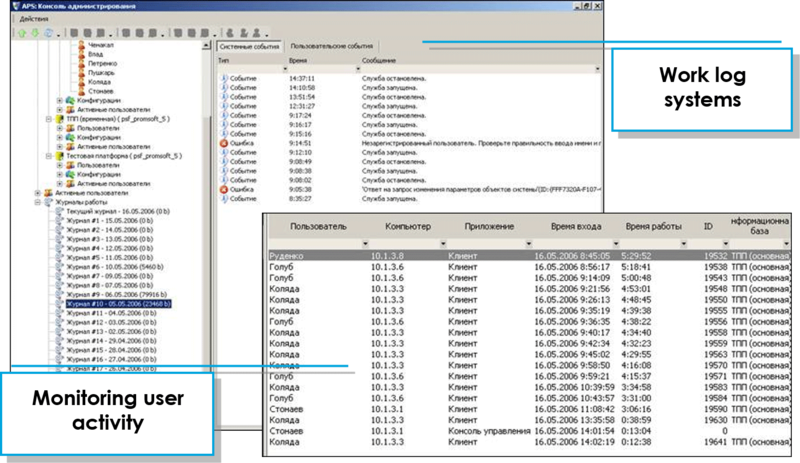 Only the data source changes. 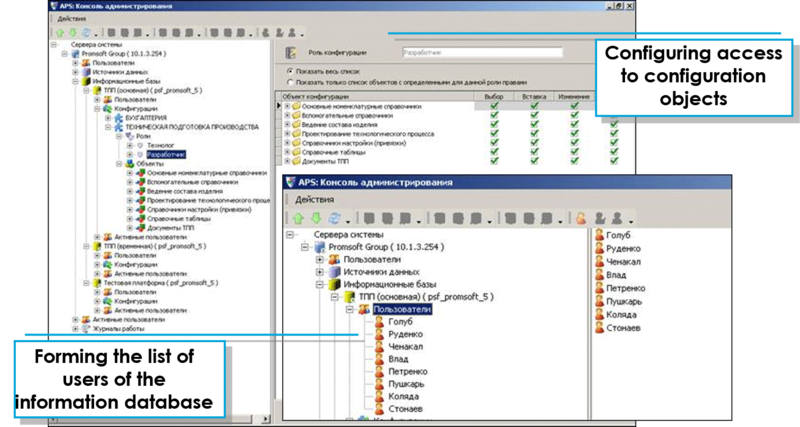 When you transfer a configuration, you can transfer not only the metadata of objects, but also application data. 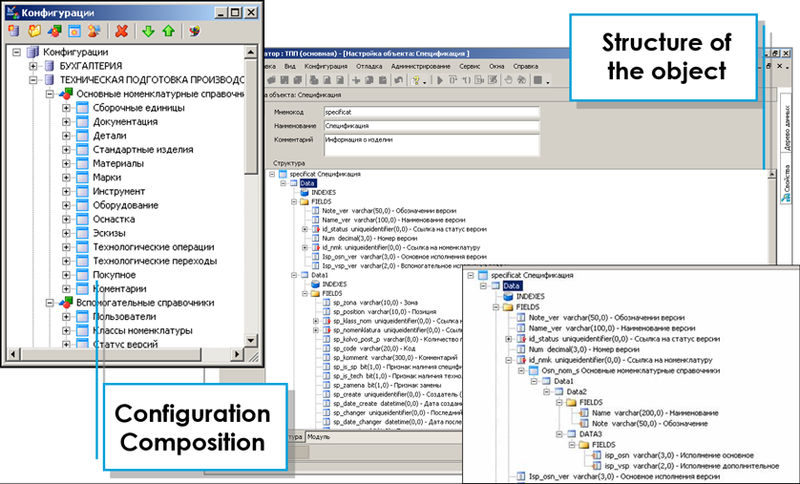 The mode of import / export of configurations is implemented on a single mechanism. 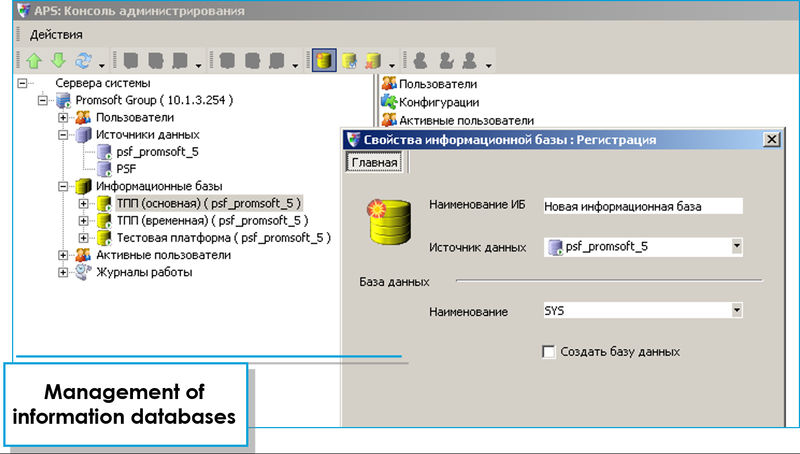 Only the recipient of the data changes. 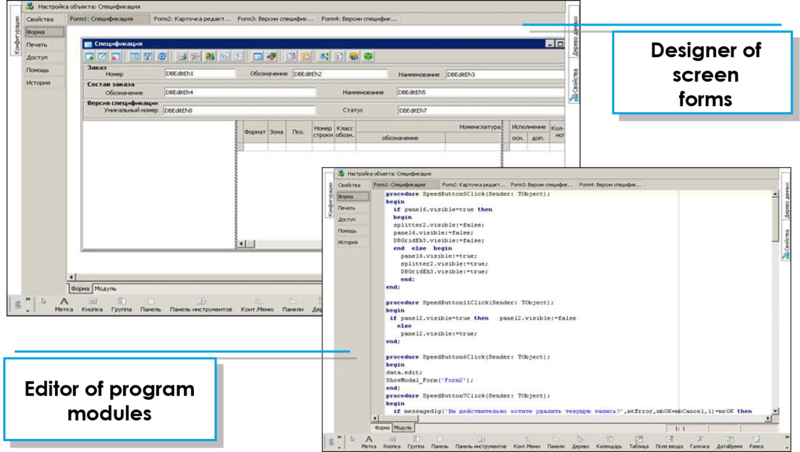 In this example, the configuration objects and their data were uploaded to the file along the specified path.